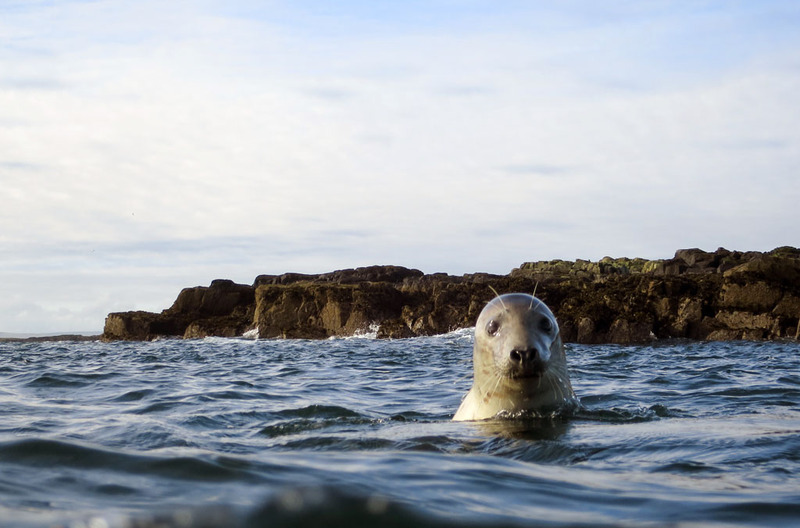 Been diving in Farne Islands? Please Vote! As a British local, diving in the Farne Islands was always a dream. Despite relatively frigid waters and at times poor visibility, the ability to dive or free dive with hundreds of grey seals in their natural habitat has been a perennial favourite among the cold-water diving community. On the North East coast of England, a stone throw from the coast, the Farnes are teaming with life as the boat approaches. The smell of guano mixed with seaweed fill the nostrils. Seals bark on the rocky island, bulls chasing the smaller males into the water. As I jump in, I make my way down to the starfish littered bottom and start to swim through the rocky canyons and kelp. Every corner reveals yet more seals, either solitary or in-group, playing in their acrobatic manner or nibbling innocently on my fins. The Author: Chris Vyvyan Robinson is a british underwater photographer and divemaster.